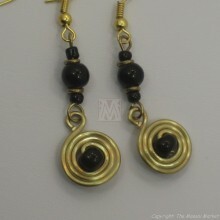 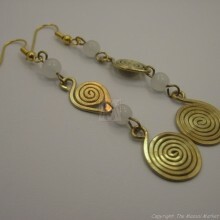 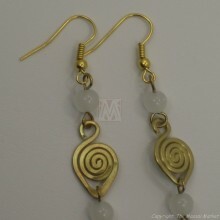 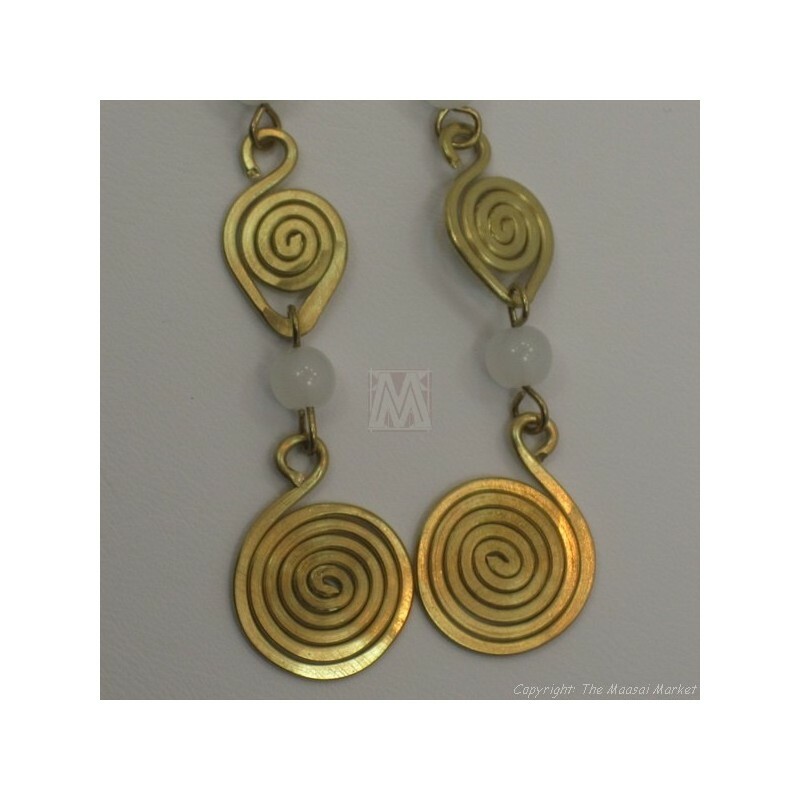 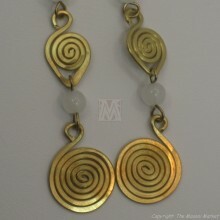 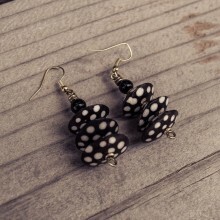 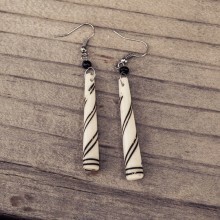 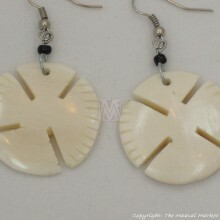 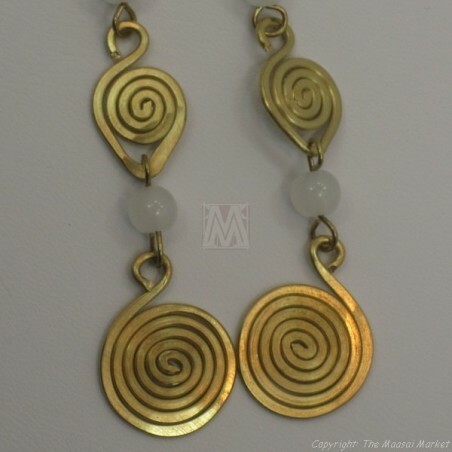 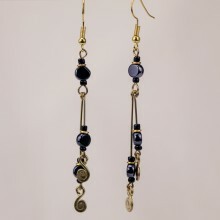 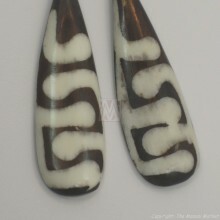 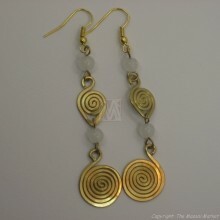 These earrings are made of brass and white beads. 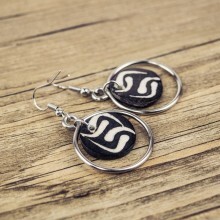 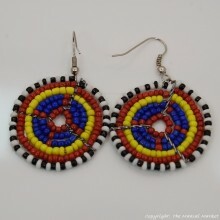 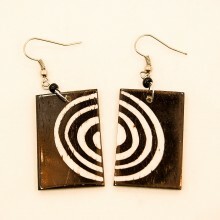 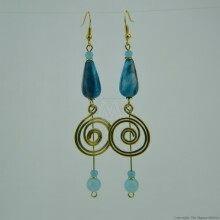 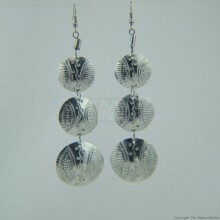 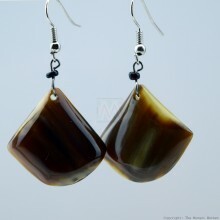 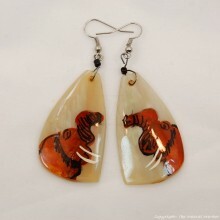 This earring does also come in other colors. 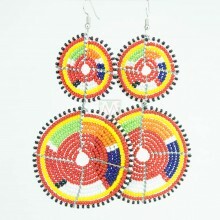 We have a few of them, the one you will get might be slightly different. 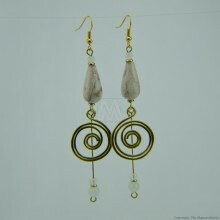 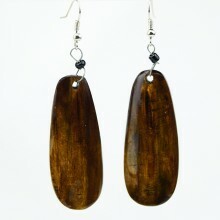 Measurement: dangle is approximately 2.5", whole earring 3"